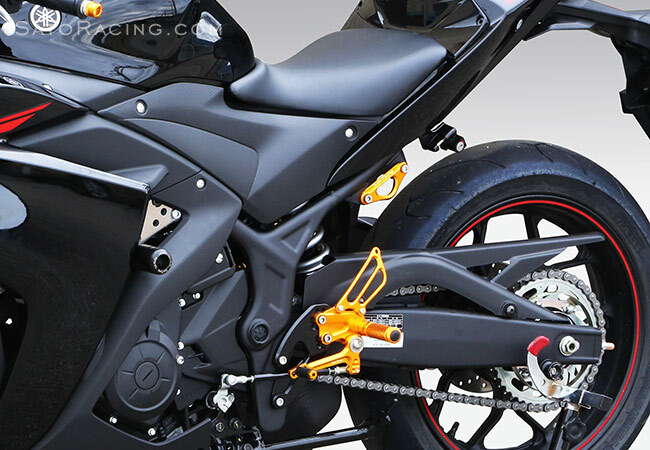 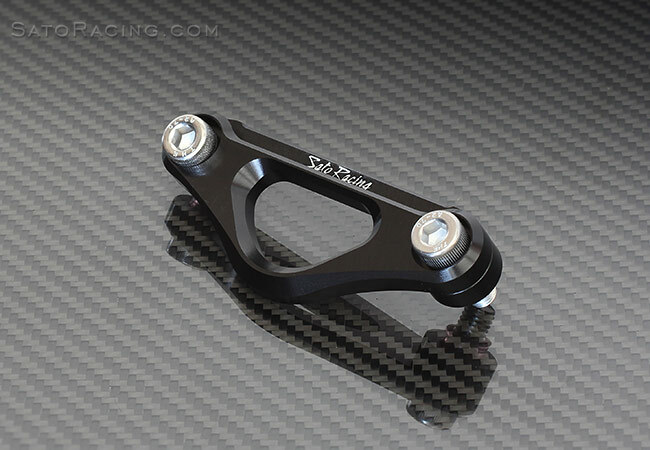 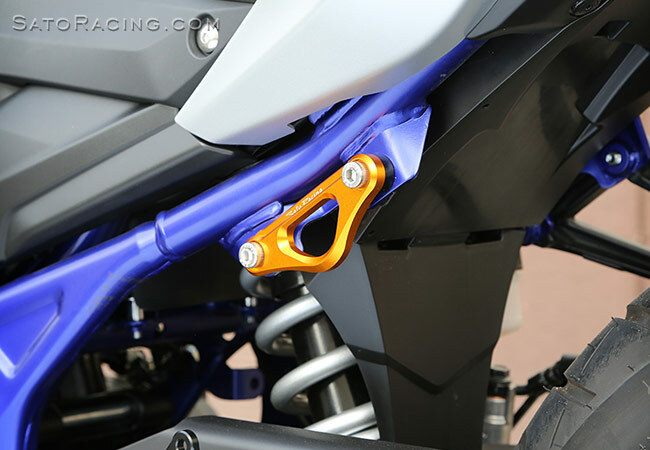 If you have removed the L-side passenger peg bracket on your 2015-18 Yamaha YZF-R3/R25, MT-03 or MT-25, this stylish billet aluminum Racing Hook fits nicely over the exposed frame holes and provides a sturdy tie-down loop useful for strapping down your bike. 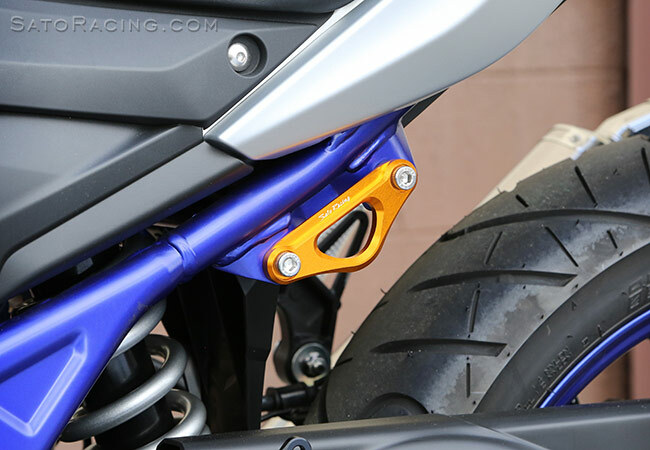 (L-side only). 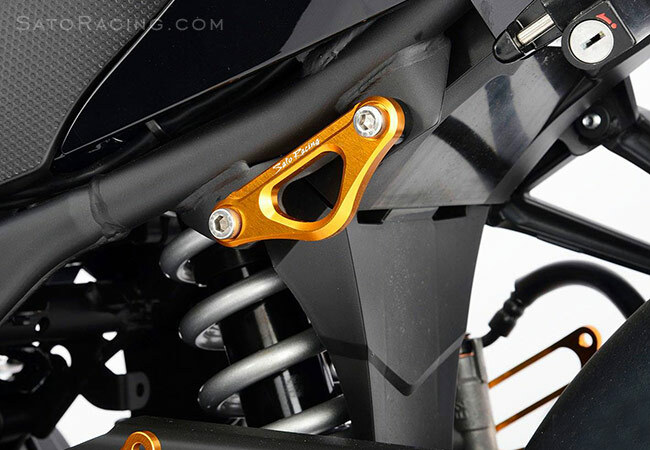 Choice of Black or Gold anodized finish, with stainless steel bolts. 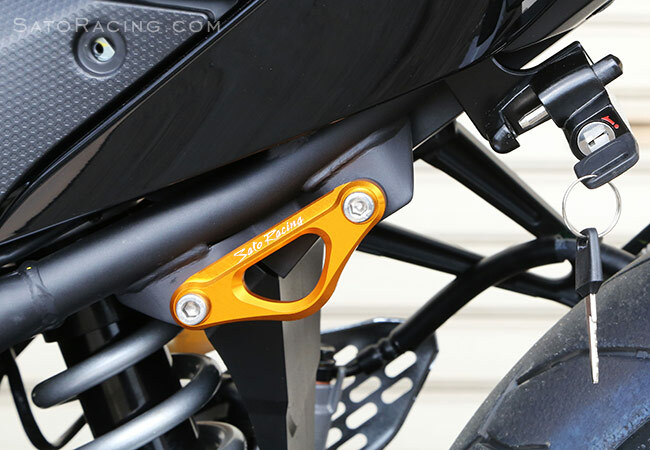 This hook can also be installed on the right side if you are using an aftermarket exhaust that does not require the stock exhaust hanger.